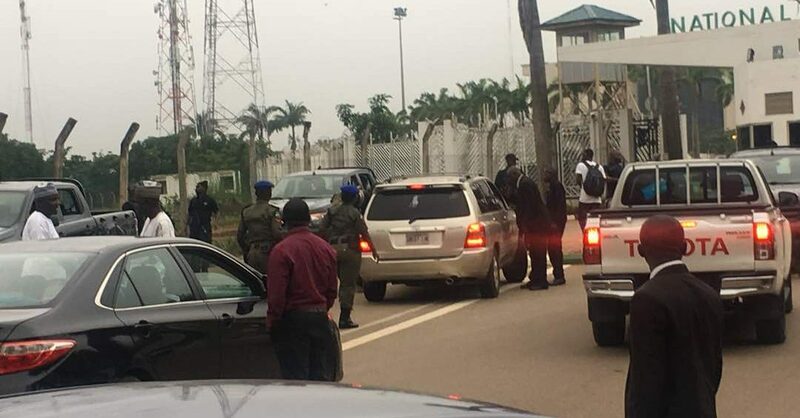 Senators and some house of Reps members have forced their way into the National Assembly Complex after they were blocked from entering the area by DSS officials. "I got to the gate five minutes to seven. There were masked DSS men there and the Nigeria Police. But we are in now and waiting for our colleagues. They (security agents) gave us a condition. They said the building will be open by 9:00 am and that they have a list that contains those (lawmakers) that will be allowed to go in".